The Wandering Moose and I have decided to try a new idea in posting to the DFO. We have noted that some of our favorite conversations take place in e-mail we send each other, and thought that could be a possible medium for interesting, post-able discussion. To that end, we are going to pick a subject and send some thoughts back and forth during the day, and then set it up here once we decide to be done. I hope this will turn out to be fun and thought-provoking, but it stands a good chance of being boring for anyone but the two of us. With that note of disclaimer, here is our first post. T.L.Bear – Hello, my dear! I hope everything is going well with you, and that you are having a good day at work. I almost started this with “Hello, my deer” because the moose is a member of the deer family, and because I like lame jokes. But instead I will just tell you about how I almost did that, which probably isn’t the best idea either. So, I will just move on. Well, I just looked at that list and already want to change a few things. But I will send this to you as is so you can start your reply, and fix the list in my next post. 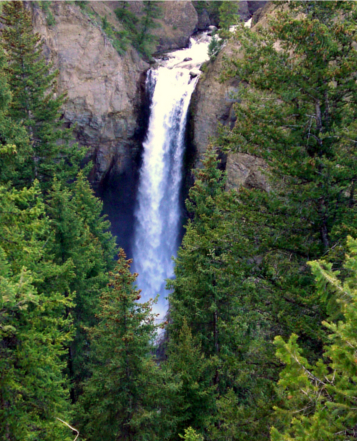 Yellowstone – This is a given and must be at the top of every list that mentions my favorite things. Disneyland – This is also a given and should also be at the top of “My Favorite Things” list. However, I decided to put Yellowstone first since it’s closer, cheaper and easier to visit on an annual basis than Disneyland. Disney World – Amazing. The enormity of it was almost overwhelming. It’s no wonder they called it Disney “World”; it’s ginormous and being there feels like you’ve been removed from the planet and dropped into another universe that is all things Disney. I can’t wait to go again! Hawaii – I have such fond memories of my first and only trip to Hawaii and have always wanted to take you there, you will LOVE it. Maybe 2010? Sweden – Obviously I want to visit here. I’m tired of seeing all the gorgeous pictures from your mission and hearing the stories without knowing for myself and sharing in the story telling. Sweden 2011! England/Scotland/Ireland – Since we’re moving there, we’ll see plenty of it. We can go to Sweden while it’s close, so I guess we’ll be living there by 2011. Right? Alaska – I’ve always wanted to do an Alaskan Cruise. I guess in February we’ll know whether or not cruises agree with my stomach, then we can decide if we want to do a cruise again or just fly up there directly. New York – Don’t think I want to do longer than a 4-day weekend or something. I just want to see what it’s like in person. Disneyland – I still can’t believe we got married on the 47th anniversary of Disneyland, but didn’t realize it until later. I’m sure either of my brothers (or my mom or dad, for that matter) knew, but I was busy thinking about other things (hint: I was thinking about you). Still, it is appropriate now, as you have joined me in becoming a Disney Nerd. Welcome to Nerdsville – sorry about that. Sweden – This is self-explanatory. I lived here for two years, and although I was a missionary and not a tourist, I just love this country. I can’t wait to take you there. I already have a touring schedule in mind, but it will take about six weeks to complete, so we will have to save up. Grand Circle/Four Corners/Mesa Verde – I can’t believe I forgot this earlier. This is a recreation of a vacation my parents took us on not long before we got married. It is also somewhat realistic, unlike the “six weeks in Sweden” fantasy. It includes the Grand Canyon, Mesa Verde, and Santa Fe, which are some of my favorite places. Now we just need to work it into our apparently full schedule. 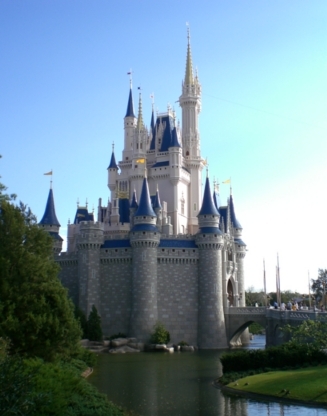 Walt Disney World – This goes without saying, particularly because we are such Disney fans. Strangely, this would probably be higher on my list if we were not going back in nine months or so (sort of like: I know we are going, so I don’t have to wish we were quite as much). Hawaii – You have been threatening to take me to Hawaii since we met, and I’m game. But you neglected to indicate your favorite island. Is it Poopoolotta? My desire to go has waned just a bit since I became aware of my allergy to pineapples, but I will make the sacrifice and go if you want. :^) The year 2010 sounds about right, if I’m being honest. England/Ireland/Scotland – I’m glad you included the other countries in your list, as it gave me a chance to update mine. My recent (and surprisingly intense) passion for England has not made me forget Ireland or Scotland, after all. In years past I would have neglected England on this list entirely, and probably just gone for Scotland. Unfortunately for you, we will need to visit Birmingham when we are in England. I write “unfortunately” because while it is a very important and nice city, Birmingham is not really one of the tourist hot spots. However it is the home of Aston Villa FC, and Villa Park; and a pilgrimage to the homeland is required of all adherents before they can be considered true disciples. Canada – You covered everything I wanted to say about this, so good job! You being half-Canadian (and our children will be one-quarter Canadian) gives this added importance. You know, the Winter Olympics in 2010 are in Vancouver… Of course, you are more of a Calgary girl, so maybe we can borrow Doc Brown’s Delorean and go back to 1988. Either that, or not let the Olympic schedule decide when we go to Canada. Whatever, I’m breezy. Mayan Riviera – This is partially for the book (Ed. Note: Nate is writing a book, and they often refer to this mythical item as “the book.” It’s mythical because nobody is really sure whether it exists or not. ), but also because it is beautiful and has lots of that history stuff that I like so much. France – I almost went with Italy, so I could be like you, but for some reason I wrote “France.” I have heard that most of the French can’t stand American tourists and that waiters spit on you if you don’t order in the local dialect. In fact, the only redeeming thing I can think about the French right now is their golden brown Fries, and I’m just so-so with those, as you know. Wait, there is Disneyland Paris, I guess. Oh yeah, and the finest museums in the world, the Eiffel Tower, Paris, Lyon, Eze, and the incredible natural beauty. I guess that makes up for everything else. (Incidentally, are the French really so rude, or is that just something made up by Spain’s tourism office? We should ask your sister, J-Lu.) Maybe when we are living in England, and after we visit Sweden we can go there. If we take the Disney Mediterranean Cruise it stops by France, as well. Two on our list for the price of one! Well, almost – considering the cost of those cruises. Germany – An interesting thing about Germany is not only do we both have family roots, but lots of people we know have ties there. It’s really beautiful, from all the pictures, and we could just make that a part of our European adventure in 2011-2014. Washington D.C. – This is a nod to my deep love and interest in history. We will have to do this one once we get back from Europe, so maybe, 2015? San Antonio – I guess this one should have gone on the “Places I have been before” list, but I still want to take you there. Maybe we can combine this with New Orleans, because everyone says we need to go there. We can do some rootin’ and tootin,’ or whatever. Italy – Great combo idea, but I’m not sure if the Disney Cruise goes to Florence. That would be my favorite city to see, although I wouldn’t mind visiting any of the big ones (Rome, Venice, Milan, Turin, etc.). Alaska – I agree with this one, and it could get bumped up my list in short notice if your motion sickness cooperates during our upcoming cruise. I would also love to take a fishing trip to Alaska. Hawaii – I’ve been “threatening” to take you to one of the most beautiful places on the planet? Man, am I scary! JK I think it’s more like I’ve been wishing I could take you there. It’s hard to say what my favorite island paradise was. My first thought is Kaua’i, it was absolutely beautiful. But they were all breathtaking. I would say either Maui or Kaua’i, I guess. So when we go, we’ll have to island hop a little. Oh, and by the way, there isn’t a “T” in the Hawaiian language, so though I appreciate your attempt at making sure “poop” was in our blog, “poopoolotta” does not and could not exist. A+ for effort though. And I thought your allergy to pineapples was only if you ate them, not if you looked at them or stepped foot on an island that produced them. It’s not like you are required to consume your weight in pineapples while you’re there. In fact, when I was there I didn’t even like pineapple and didn’t eat even a piece and I survived. Of course, my tastes have changed a bit and I’m looking forward to scarfing down some fresh pineapples while we’re there. Canada – I do love Calgary. I’ve never been to Vancouver but it’s sounds great too. However, our trip to Canada will most likely be with my family so we’ll probably just stick to the Alberta Province. It’s beautiful, you’ll love it. I can’t wait to see 360 degrees of flat fields and giant grain elevators protruding here and there. Our northern neighbors sure have a great view of the stars! Germany – I’ve never really “wanted” to go to Germany, but mostly because the language sounds so hokey and the Lederhosen look stupid. I’m sure it’s beautiful and we’ll probably drive through on our multi-month tour of Europe. Washington D.C. – A must! And let’s add Philadelphia to that trip too. Seeing Independence Hall was a neat experience and I always wished you could have been with me. T.L. Bear – I am glad to see that two things have not changed in our 10+ years of courtship and marriage. First, my math skills have remained on a consistent level ever since we first met (and if I’m being honest, ever since elementary school). Second, as always, I like to add the word “poop” to just about everything. I don’t think I have slipped it past you even once – I think you are 100% in catching and rolling your eyes at my poop references. Your thoughts, as always, are sublime, and thank you for agreeing to attend a Premiere League match with me (among all the fun other vacations, of course). I am also glad to be the one who filled the giant void in your life, and that is very sweet of you to say. Thank you, and I hope you know I feel the same way. On that subject, as I look up from the keyboard at home I can count nine different items of Disney paraphernalia strung around one little corner of our house. That’s just on this desk.. Are you SURE that void in your life wasn’t filled by Disney? I would be entirely disappointed if you went to England (to live??!! What’s this? More info, please!!!) and didn’t take in a game of footy. It had better be the Villa-Chelsea match, and Chelsea better win! ;) I mean, it’d better be a thoroughly entertaining match. They’re ridiculously expensive, so I’ve heard, so I don’t know how many opportunities you’ll have, especially since your foray to a game may preclude your ability to go on some of these several other vacations you seem to have planned, or at least, on the horizon. It’s no wonder you two are always busy! Trust me – I would take in at least one footy match in person, in the hallowed confines of Villa Park. We should be more clear about our posts, I know, so thank you for pointing that out and please let me explain. We have no plans to move to England, but for a few years now I have wanted to take a sort of extended sabbatical there to write and explore. This would only happen in a theoretical future where we happen to become beset with extravagant wealth, so we could afford to do such a thing. Neither of us really think that is in our plans, so it remains mostly a dream. Come to think of it, most of this post was a dream. Also, thanks for reading the entire thing – both of us appreciate the level of friendship and patience such an act requires! Consider yourself hired! I would like to point out that T.W. Moose was responsible for the “hokey” comment, but she also thinks Swedish sounds goofy, so there is no accounting for that girl’s taste. I just wanted to comment that I took on the challenge of counting the Disney paraphernalia on the desk. I actually counted 17 items that were either purchased at a Disney Resort or had a licensed Disney character on it. I think we have gone beyond “Nerd” status and entered “Disney Freak” status. Phillip, I would love to have you and Amie as our tour guides when we go to Germany. Plus, if you were to wear lederhosen then I would be able to spend the day laughing at you instead of the hokey language. Oh yes, Germany at Christmas, Let’s! But I tell you we were crazy doing that with how cold it was out! FREEZING! And~ we took our baby in the stroller. Of course, he was bundled so much he was actually sweating. (I was a bit envious.) Except how could I let the cold hold me back when I had a most scrumptious crepe to savor that warmed up well inside, and way too many things to choose from to spend my souvenir money on. First of all a cold poopoolotta souds delicious right now… and second of all, you guys should post your vacation photos! You know, I am always glad to hear from another person that can appreciate the delicacy of a well-prepared poopoolotta. Thank you for the support, Tom! We are going to post some pictures in theory… Hopefully soon, even!